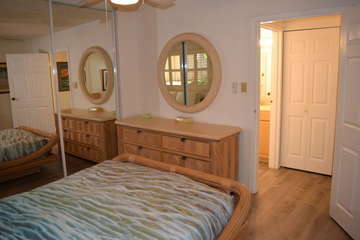 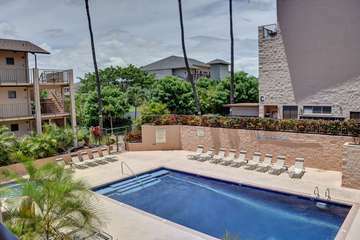 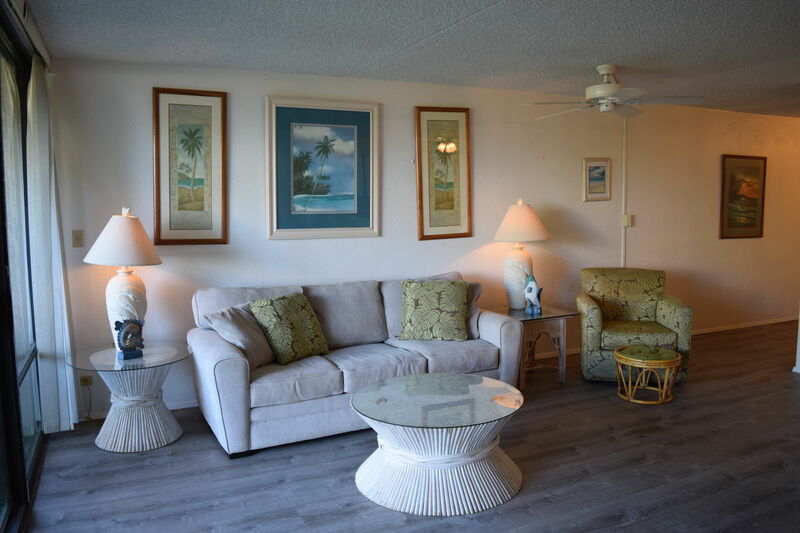 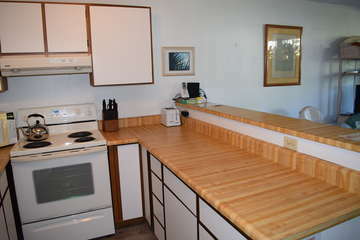 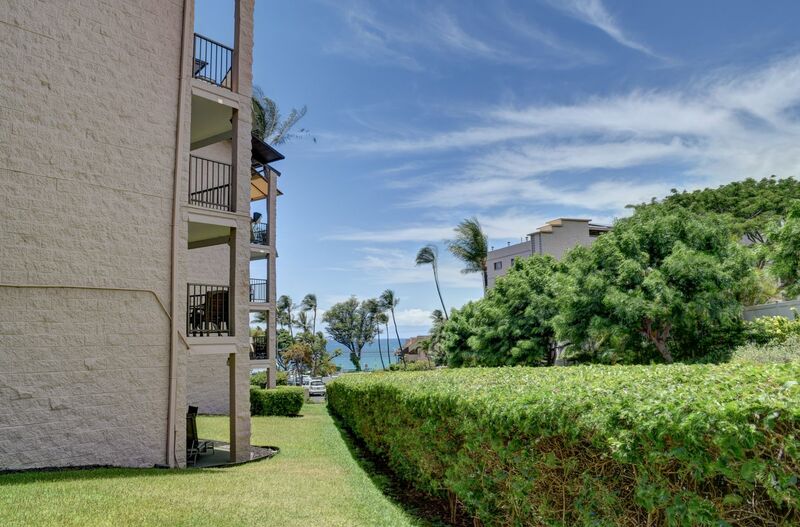 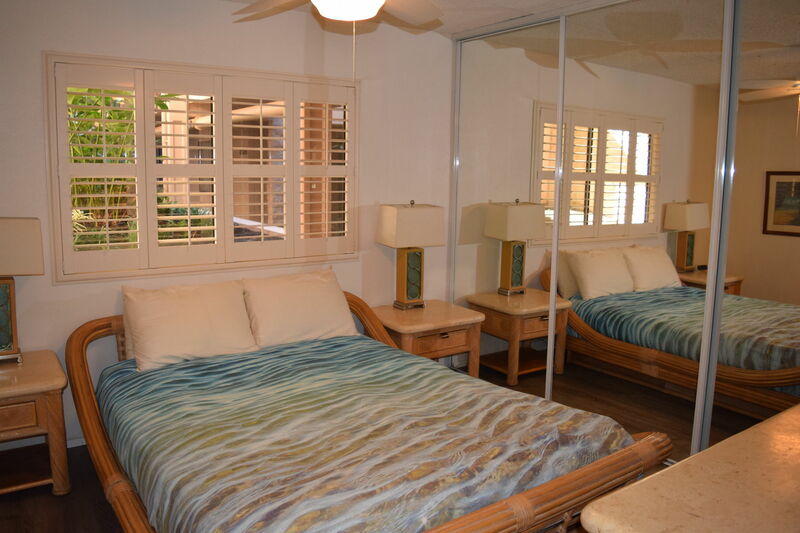 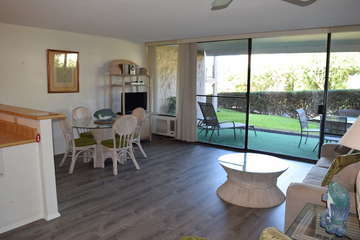 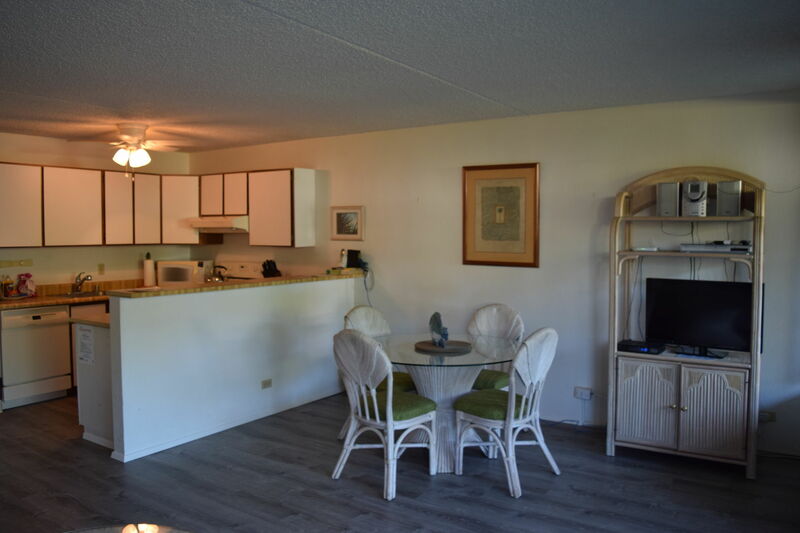 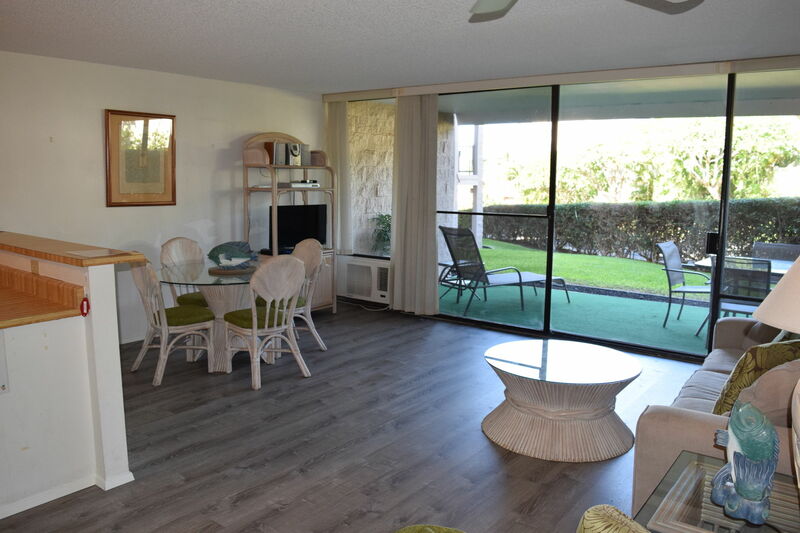 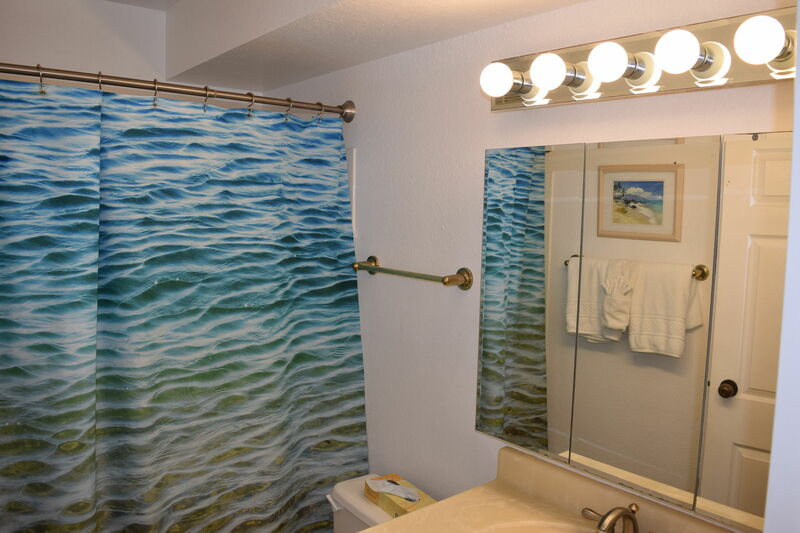 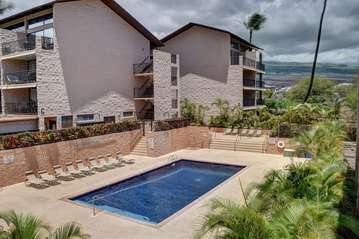 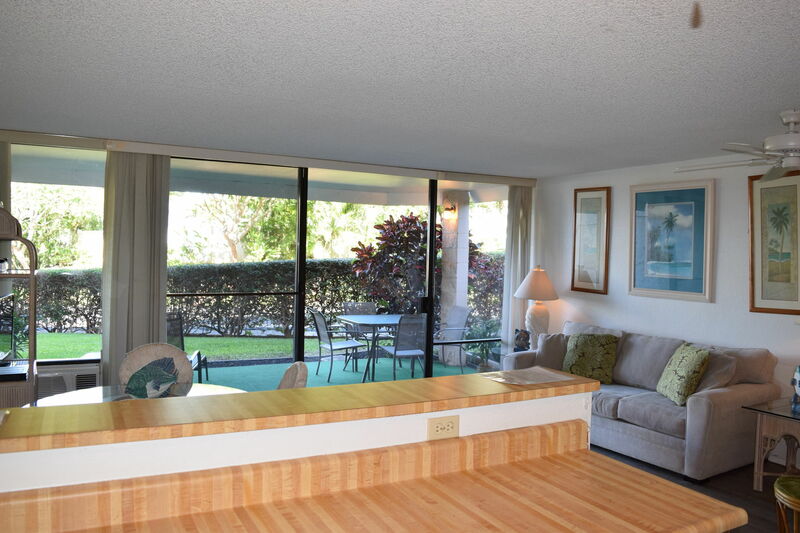 This one bedroom, ground floor Kihei Alii Kai A106 unit is perfectly located on the property. 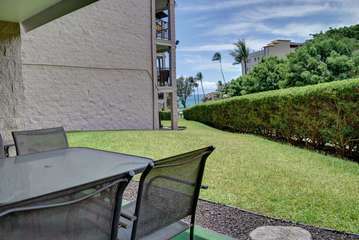 With a partial ocean view right from your lawn, you can enjoy a Maui sunset while enjoying dinner on your patio. 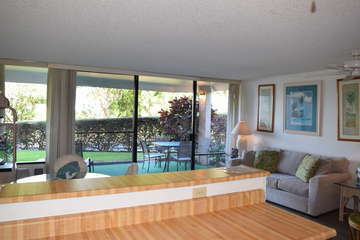 Right next door is the Dolphin Plaza with stores and restaurants, and across the street is the beautiful Kamaole Beach. 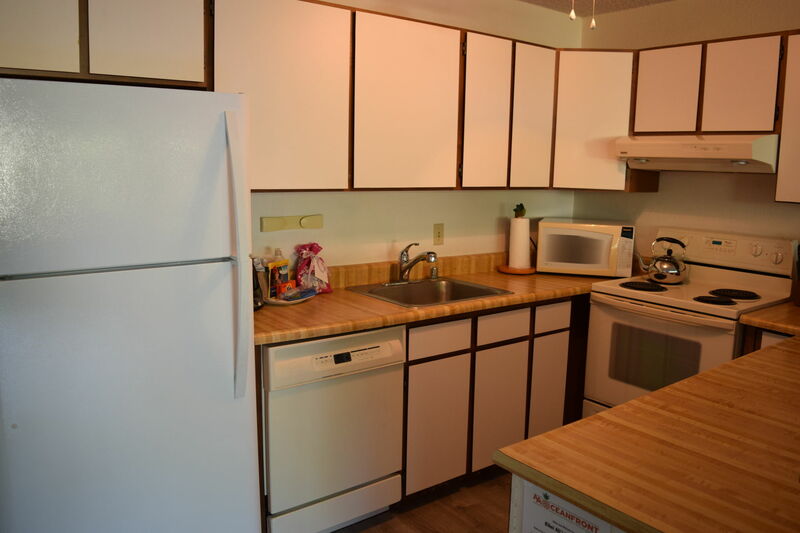 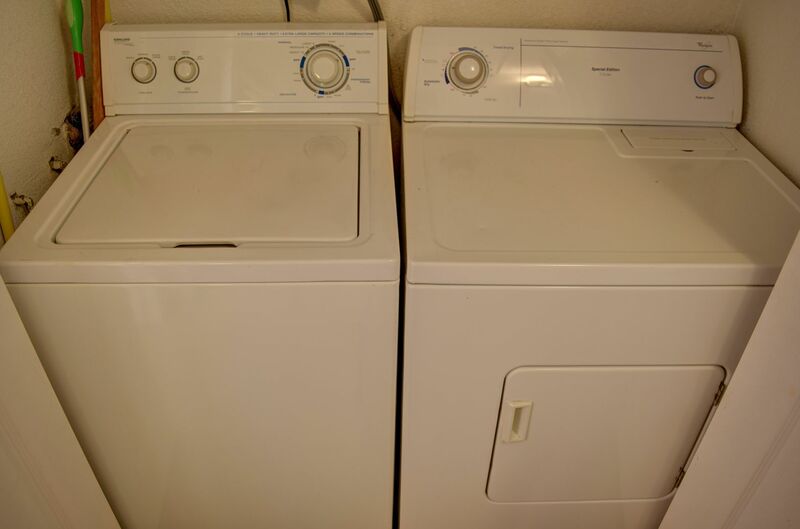 This unit has everything you need for fun, food, and friends! Living Room: This tastefully decorated, spacious living room features a flat screen television and comfortable seating arrangements. 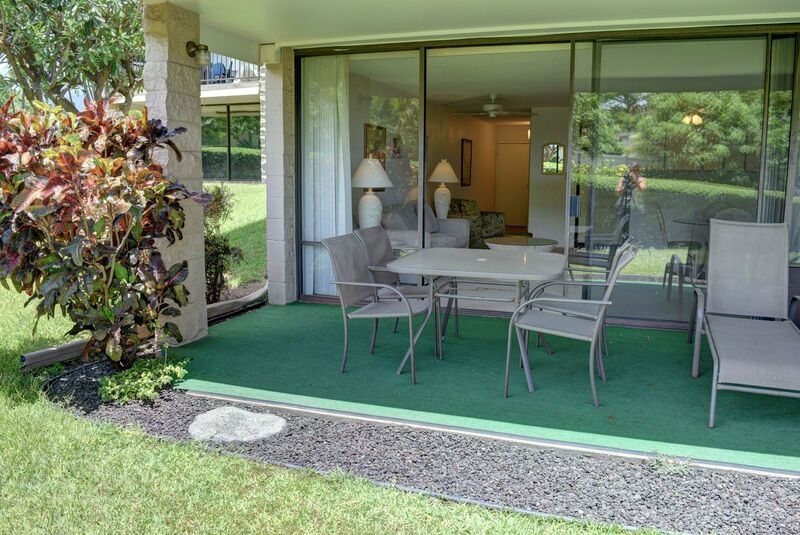 It adjoins the outdoor lanai with large, sliding glass doors that can be opened for gentle breezes. 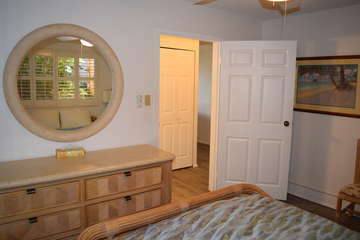 This room includes a window A/C unit for the hotter days and plenty of windows for natural light to shine through. 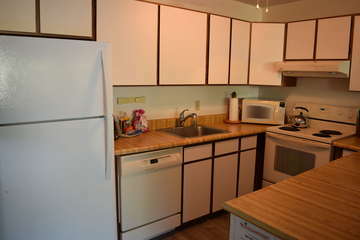 Kitchen: The kitchen is stocked with all supplies to craft your own meal or enjoy takeout at home. With full size appliances and lots of cabinet and counter space available, this kitchen provides plenty of space for storage and food prep. 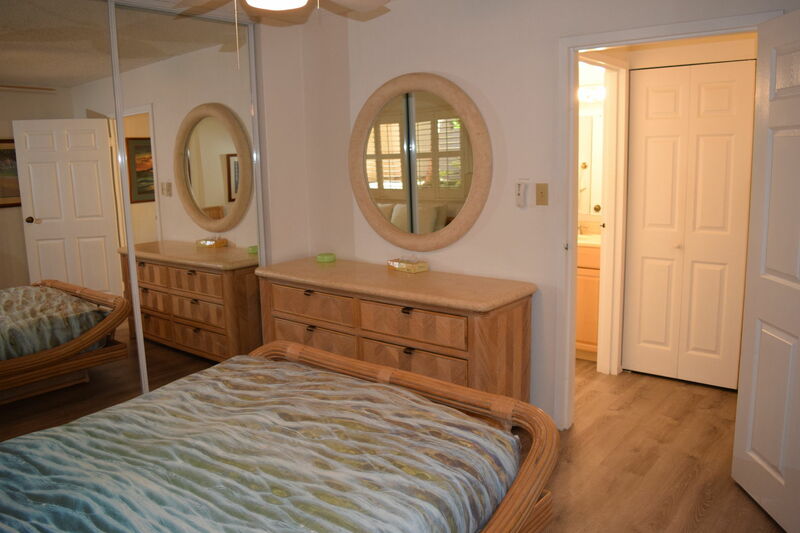 Master Bedroom: The master bedroom has a Queen sized bed, a dresser with a mirror, and a spacious closet to fit your clothes and other belongings. 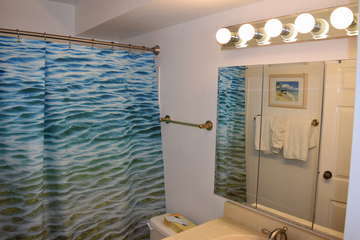 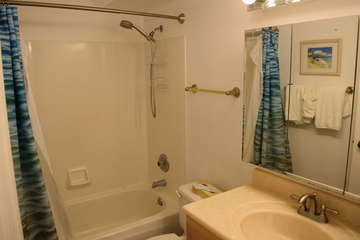 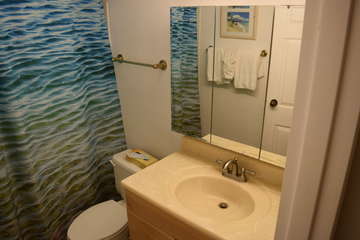 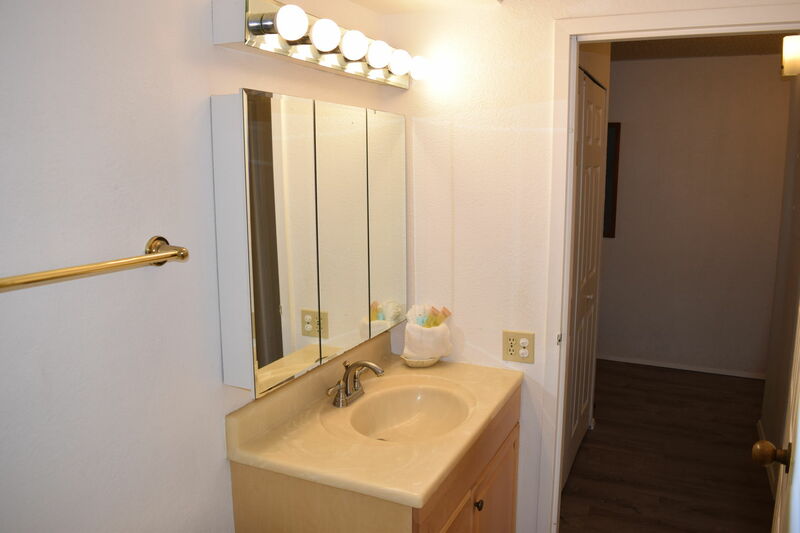 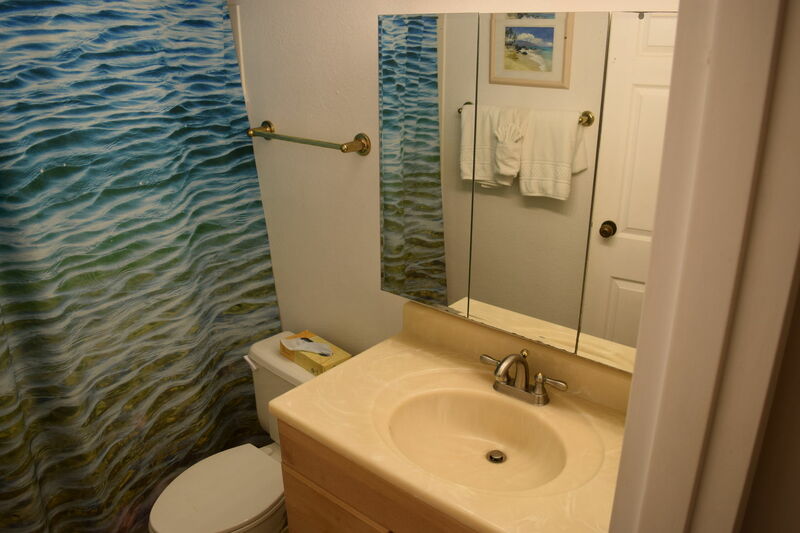 You will find a private, full bathroom with a vanity style mirror attached to the bedroom. 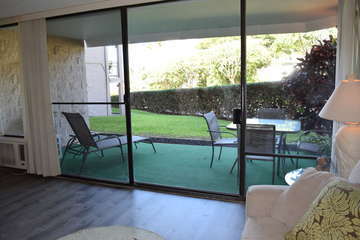 Lanai: This large lanai sits ground level with easy access to the hotel pool and garden area. 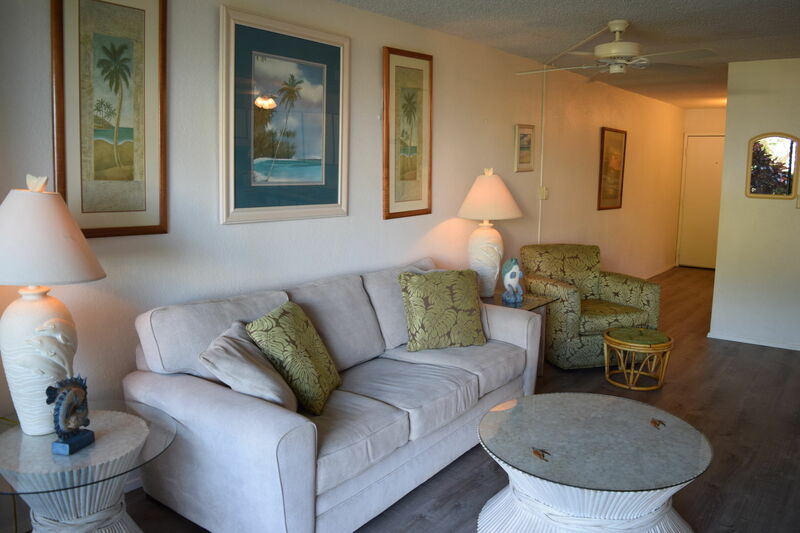 The seating arrangements comfortably sit four. 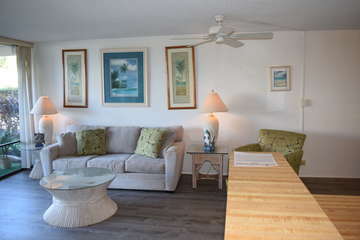 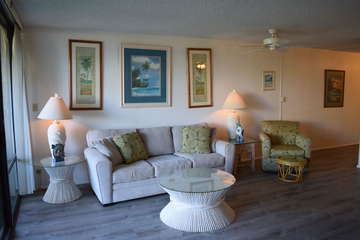 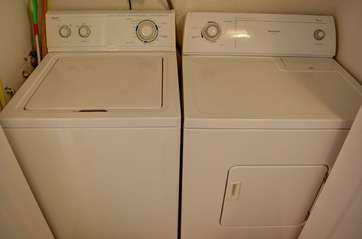 In addition the laid back recliner is perfect for long naps, as it hosts the island breeze well-known to Kihei. 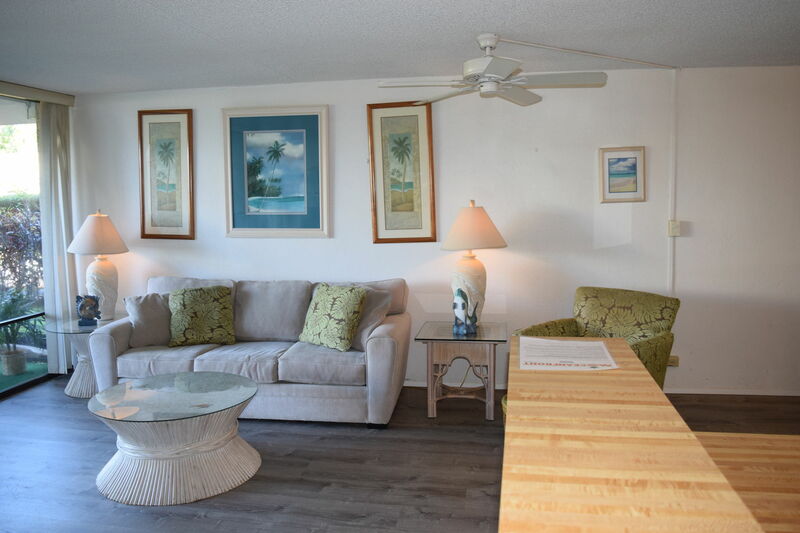 With partial ocean views, this lanai provides a relaxing atmosphere for any guest.